DENVER, Colo. — Wells Fargo has awarded Goodwill Industries of Denver $45,000 in grants to support the organization’s career development programming. Twenty five thousand dollars of the grant will fund the BankWork$™ program Goodwill facilitates in the Denver metro area. BankWork$ is a free training program that prepares people — typically those who are unemployed or underemployed in low-income and minority communities — for careers in the financial services industry, specifically for positions as bank tellers, customer service representatives, relationship bankers, and personal bankers. “I feel much more confident about my future and more secure financially,” said BankWork$ graduate Brandon Madrid. Before starting the program, Madrid wasn’t sure how he could get the training he needed to find and advance in a career. He had previously enrolled in college, but financial struggles, a full-time job providing maintenance for an apartment complex, and ongoing kidney dialysis made it impossible for him to continue. He was hired by Wells Fargo shortly after Denver’s first BankWork$ graduation ceremony and hiring fair in October 2016 and now works as a personal banker. 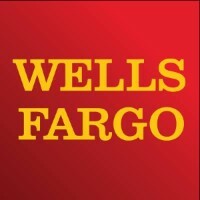 In addition to its support of the BankWork$ program, Wells Fargo has awarded Goodwill $20,000 to fund its Youth Services Program and Career Connection Centers. With a mission to put Coloradans in need on a path to independence and self-sufficiency, Goodwill Industries of Denver serves more than 13,000 disadvantaged students by providing career planning, mentoring, internships and other resources at high poverty schools. Its Career Connection Centers offer job-search support, skills training classes and career development assistance to adults with various barriers to employment. 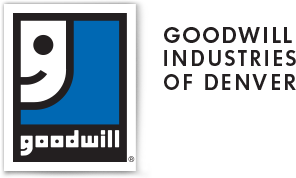 Goodwill Industries of Denver is celebrating 100 years of service in the Denver metro area in 2018. Founded in 1918, Goodwill’s legacy of changing lives through the Power of Work continues to evolve with the needs of the community by offering crucial career development programs to at-risk youth, adults with barriers to employment and individuals with disabilities.